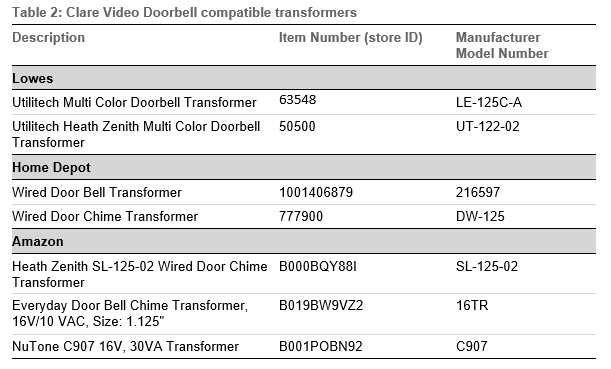 The Clare Video Doorbell has been tested and found compatible with the below doorbell chimes (Table 1) and transformers (Table 2). 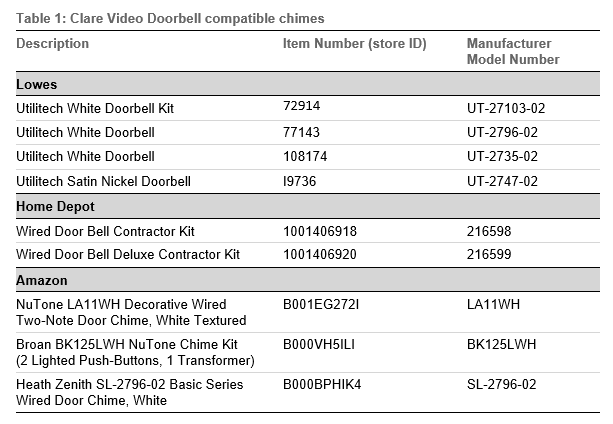 Note: There are currently no Clare Video Doorbell compatible digital doorbells at this time. Note: Clare Controls does not support Nicor Prime Chime or digital chimes.